Licensed architect in the state of Washington and California and registered with NCARB. Stephen received his Bachelor of Architecture degree from California State Polytechnic University at San Luis Obispo, California and through a Scholarship Grant from the American Institute of Architects completed a Master of Architecture degree from the Royal Academy of Fine Arts, Architecture in Copenhagen, Denmark. After eight years in that country developing his design skills as an Architect, commercial Artist, cartoonist and professional photographer, Stephen returned to Southern California in 1978. 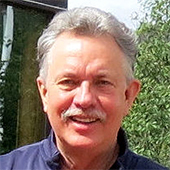 Stephen worked as a project Architect and Designer on major commercial projects world wide with Charles Luckman's Architectural firm in Beverly Hills, California until 1982 when he started the Architectural Firm of J. Stephen Peterson AIA Associates. Stephen's special ability to coordinate the architect-client-contractor relationship stems from being the son of a successful general contractor. Stephen learned about the construction industry from his hands on experience, having worked as a carpenter and designer with his father's construction firm from an early age. Ane studied architecture at the Royal Academy of Architecture in Copenhagen, Denmark as well as a four year degree in fashion design. Ane's natural gift of quality design stems from having both a father and grandfather who were architects in Denmark. Ane and Stephen were married in Copenhagen and moved to Southern California in 1978, where she worked as a professional fashion designer. 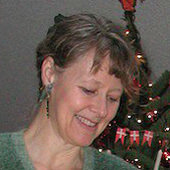 In 1982 she joined the company as a residental designer. When our firm relocated to the Seattle area, Ane expanded her professional expertise by working with Bolig Kitchen Studio and with additional educational training, received her certification as a Certified Kitchen Designer from the National Kitchen and Bath Association. Ane's professional design training, experience and sensitivity complements and completes our firm's multi-faceted design team.